Located in the impressive community of VillageWalk at Lake Nona, a glamorously master-planned community in southeast Orlando. 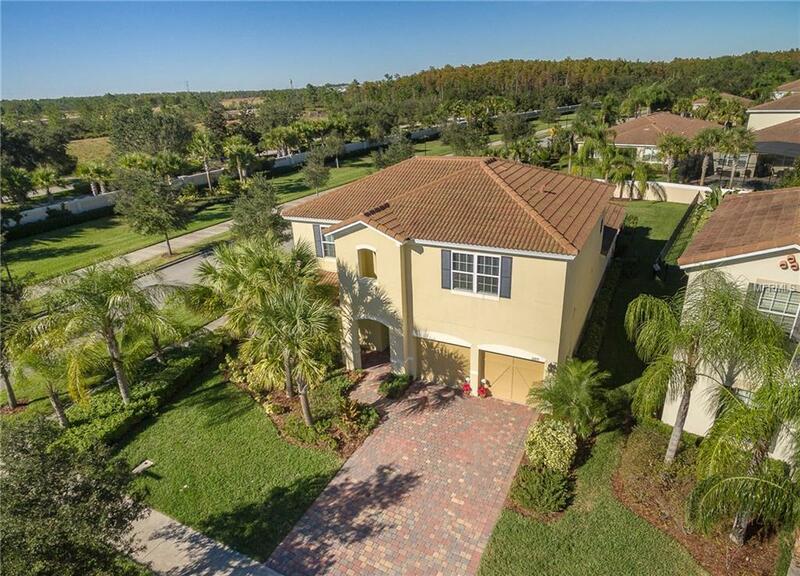 This is a gorgeous well designed 5 bedroom pool home placed in a beautiful corner lot. This graceful property features the master bedroom, master bathroom & a 2nd bedroom with a 2nd full bathroom on the 1st level. The 1st level also presents an open concept kitchen overlooking a fabulous great room where you can entertain family & friends. The 2nd level offers 3 bedrooms, 2 full bathrooms, a loft that could be used to accommodate your needs such as media room, game room, family room, etc. The community of VillageWalk is located next to the Lake Nona Medical City & the US Tennis Association campus. The resort-style amenities are exceptional. From the moment you arrive at the 24hr gate-guarded community, the impeccable private roads, the up-scale 26,000 sq ft town center, 24-hrs state of the art fitness center, heated resort style pool & lap pool, 6 lighted clay tennis courts, basketball court, tot lot, lakeside gazebo & event lawn, miles of walking paths & bridges, library/business center, card room, on-site-lifestyle & activity director, multi-purpose ballroom, to mention some of the amenities. The homeowners association fee also includes lawn maintenance & fertilization, alarm service, internet & basic cable. The community also offers a gas station, a deli/market, hair salon & spa. Come & enjoy this new & exciting way of living. No prior evictions. This house is also for sale.